Condenser microphone, dynamic microphone or ribbon microphones? Which one should I get for my home recording studio based on the type of recording work I do? Choosing a microphone for your home studio can be tricky. And more if you’re just starting off with your studio and have not recorded with a microphone before. In this post, I’ll briefly explain the job of a microphone, which microphones are commonly by recording studios, what is phantom power, what preamps are and more. The best microphone is one that can accurately capture, as close as possible, to the actual sound of the instrument or sound source. Engineers & producers however through the years have used microphones & preamps to add characteristics to the sound. Sound characteristics give different recordings, vocals or instruments certain sound flavors that can be pleasant. And as the audio signal is being passed through from the microphone to pre-amp and recorder, different sound characteristics are created. Let’s get started. Now, that electrical signal that the microphone recorded is too quiet for recording. Therefore we send this electrical signal into a pre-amp. The pre-amp then amplifies this signal into what producers commonly call as a ‘line level,’ which is more suitable for recording. These days, pre-amps are normally built into audio interfaces and portable recorders like the Zoom H5, so you don’t have to buy an actual pre-amp unit to start using microphones in the studio. We’ll go deeper about pre-amps later. For now, let’s talk about the types of microphones producers normally use in their studios. As mentioned, every microphone, whether cheap or expensive is made to convert sound waves into electric signals that a pre-amp is able to amplify and recorder to store. That said, not all microphones are the same. They are built differently, so we get different sound characteristics. Condenser microphones are the most popular type of microphones used in recording studios. In fact, I’d recommend that you buy a condenser microphone if you can only afford only one microphone in your studio. Condenser microphones are highly sensitive & accurate. 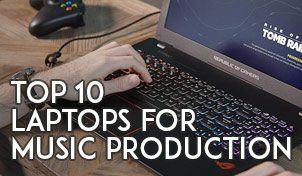 They can even pick up the whirring sound of your computer hard disk in your room if you were to record in the same room. They also record a wide frequency range, which is why vocals and voice-overs are usually recorded using condenser microphones to get that rich sound. Condenser microphones usually come built with a large or small diaphragm. Large diaphragm microphones are normally chosen as they capture a wide frequency response, including more bottom end, making your sound fuller and fatter. Large diaphragm microphones also have lower self-noise. Small diaphragm condenser microphones, on the other hand, are better off when recording certain instruments with higher frequencies, such as a piccolo or violin. Dynamic mics are not as sensitive as condensers but is pretty useful in certain recording situations. The types of microphones you see emcees using on stage are usually dynamic microphones. Dynamic microphones can record very loud volumes (high SPL). That is why they are preferred when it comes to recording drums, guitar amps, and sometimes rock/metal vocalists. The downside to dynamic microphones is that they are not a sensitive as compared to condenser microphones and they record a narrower frequency range, unlike condenser microphones. While this seems like a disadvantage, dynamic microphones are ideal than condensers for some recording scenarios. Dynamic microphones pick up signals using a magnetic field and voice coil. The sound characteristic of dynamic microphones is often referred as ‘boxy,’ due to the lack of lower and higher frequencies. The most versatile and popular type of dynamic microphone used in studios around the world is the Shure SM57 and SM58. Ribbon mics have that ‘vintage’ and smooth silky sound. Ribbon microphones are a rarer type of microphone used today. It was popular back during the 1950s, but have lost its popularity to condenser microphones. Ribbon microphones are expensive and fragile. They cannot take too high sound pressure levels. A strong gust of wind can easily break the aluminum ribbon in the microphone. They are however still sought after by vintage enthusiasts and music producers who yearn the smooth & silky sound characteristics of a ribbon microphone. Understanding microphone polarity patterns and using them effectively will make you a recording superstar. 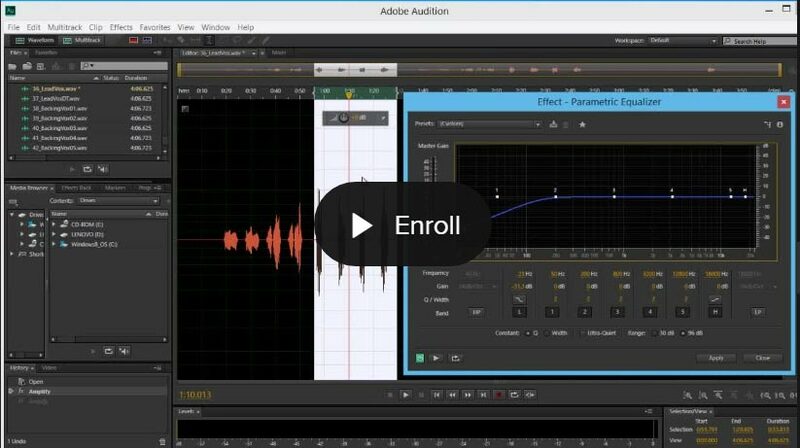 With this skill mastered, you can record better-sounding recordings on a $500 compared to a $1500 microphone. So let’s get started. Microphones with the cardioid pattern pick up sound in front of them while rejecting sounds behind the mic. Live performance settings normally use cardioid mics, so to control the sound pick up on stage. Imagine recording a snare drum in your studio. If you have a cardioid microphone pointed at the snare drum, it’ll record the snare drum and reject other drums of the kit. There are however three types of cardioid patterns that you should know about. When you go shopping for microphones, these patterns are usually mentioned as a product information on the manuals or box, so make sure you know what you’re buying. However, generally, the difference between Cardioid, Super-Cardioid & Hyper-Cardioid patterns is basically how much sound rejection happens on the back of the microphone. Figure-8 microphones are usually used to record two sound sources, such as two singers or two instruments simultaneously. Also called bi-directional microphones, they pick up sound from the front and back, but rejects sounds from the sides. Omnidirectional microphones are often misunderstood for its use. That is because omnidirectional microphones can be hard to set up and placed in a live setting, as it is prone to feedback loops. The omnidirectional mic picks up sounds around it and is more often used as drum overheads or chamber groups, such as orchestras, string chambers or choirs. 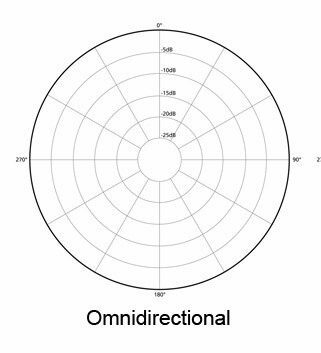 Omnidirectional microphones record sound in a more natural way and can be a great type of microphone to use if you’re looking to record ambiance in sweet sounding locations such as a cathedral or hall. This is where an omnidirectional microphone can really outshine the other type of microphones. One thing an omnidirectional mic should not be used for is close miking. If you are just starting out, don’t rush out to buy every microphone you can get your hands on. Most producers grow their microphone collection over time. This gives you enough time to understand microphones better. What they can do and their limitations, before investing in a second microphone. More importantly, here are questions you should ask yourself. If you’re into hip hop music, you probably just need a condenser microphone for vocal recordings. If you are into recording rock music, your preferred starting microphone should be a dynamic microphone. Also, you probably need more microphones as a start, to record instruments such as drums and guitar amps. What would you primarily record? If you’re going to record lots of voice overs, vocals and light instruments that needs a full body sound, a condenser microphone would be an ideal starting microphone. However, if you are into recording drums, guitars, and loud sound sources, your best bet is a dynamic microphone. I personally feel a condenser microphone would provide more experiment options and take you further. However, that opinion can be highly subjective, producer to producer. As mentioned earlier in this post, the Shure SM57 is the best dynamic microphone you can get for your studio. Not only you can use it to record amps, drums, guitar and vocals, the SM57 is also easily one of the toughest microphones in the world. Drop it or throw it against the wall, the SM57 will still work. If you’re recording drums, you need at least 4 dynamic mics. While getting 4 SM57 mics would work in this scenario, I’d suggest getting up to two SM57s and then expanding your dynamic mic arsenal, by getting other dynamic mics that sound different from the SM57 and has a different recording role. Sennheiser MD 421 II– The MD421 is a microphone that has made a name for itself in the world of dynamic microphones. Sennheiser e602 II – Look no further if you’re looking for a dynamic mic that can record really low frequencies, like a kick drum. Sennheiser e609 – Particular loved and designed to record guitar & bass amps, the Sennheiser e609 works great in a live setting as well. It also records more bass and can be used as a kick drum mic as well, while only costing a little more than then ever popular SM57. It’s a great microphone to have, if you like some additional sound characteristic in your recordings. Condenser microphones are fun to record with, and the possibilities with one are endless. Your first budget condenser microphone might sound really good to your ears in the beginning. However, as you do more recordings you’ll begin to outgrow your microphone. 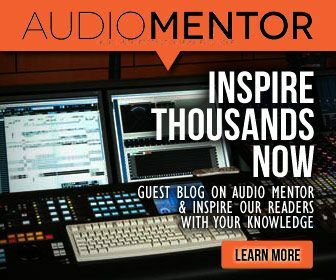 Audio Technica AT2035 – While some people would point you towards getting the AT2020 for a start, I find that stepping up your budget to the AT2035 will give you more room for exploration. It comes built with a low cut filter and a pad switch, which comes very handy when recording loud sound sources. 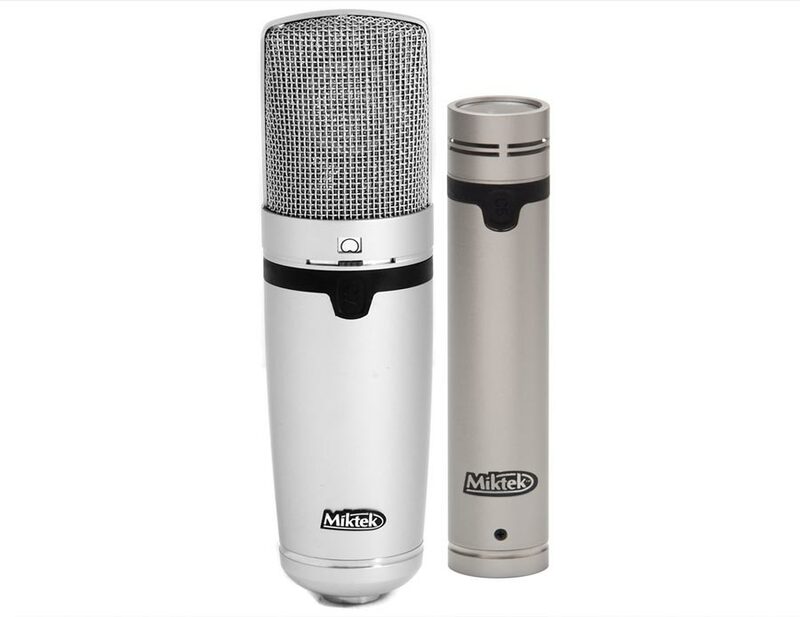 MXL 2003a – This mic is in the affordable range, but you’ll love the sound quality. 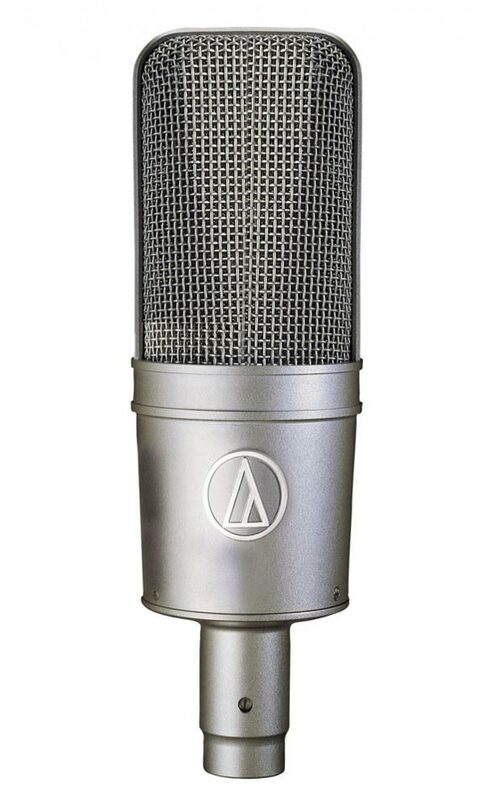 The MXL 2003a resembles a Neumann U87Ai, and while it’s not a Neumann microphone, some have said it has some sonic similarities. A great all-rounder microphone that is suitable for vocal projects and also recording acoustic instruments. Plus, it also comes with a shock mount, to get you started. Rode NT-1A – I started with this microphone in the studio and had not given it up. The Rode NT-1A is slightly above the budget range for condenser microphones but is indeed a solid microphone that gets things done. You get a very balanced and wide frequency range with the Rode NT1-A. It’s also suitable for recording super deep voice overs and can sound seriously good if paired up with a nice fat sounding preamp. Lastly, this is one of the quietest microphone in terms of self-noise that I’ve used in the studio, making it very ideal for super clean commercial voice over projects. You don’t see them in many videos, but they are very useful for certain recording situations. You’ll get less bass on small diaphragm condenser mics, but that makes it ideal for recording instruments like guitars, violins, drum overheads or percussions. Also, don’t buy cheap small diaphragm microphones (sometimes known as pencil microphones). Those can induce lots of self-noise thus degrading your recording quality. Rode M3 – You’ll never go wrong with a Rode. Crisps sounding microphone and great for even outdoor recordings like interviews and location recording, beyond your studio. The Rode M3 would do exceptionally well on acoustic guitars, and you might want to invest in a 2nd mic after using it! MXL V67N – At $149, this mic offers great quality sound without a hefty price tag. You’ll find this microphone, very transparent and flat. You’ll also find that you won’t need to do lots of EQ-ing or editing to get the most out of this mic. At this price, the quality of the microphone’s build and sound beats many $1000 mics out of the park. Ribbon microphones require you to have a higher level of recording know-how to get the best out of it. They are known to have lower recording levels, so make sure your pre-amp is clean and has enough gain. I wouldn’t recommend ribbon microphones if you’re new in recording, but if you’re an adventurous one, here are some recommendations. sE X1 R – At $200, this mic won’t beat top of the class ribbon microphone like a Royer ribbon mic. However, if you like experimenting and yearn for that warm sounding ribbon mic, then the sE X1 R is a great choice. Very solid build and while it lacks a little bit of the top end when it comes to sound, the mic sounds very sweet when used for recording guitar amps, saxophones, and cellos. Avantone Audio CR-14 – Another reasonably priced ribbon microphone, this microphone sounds silky sweet and smooth with some nice body. It has a warm ribbon sound that makes it unique and for the price, one of the best affordable ribbon microphones you can get for your studio. Which Pre-Amps Should I Get? So you got your microphones in place. The next thing to consider is microphone pre-amps. Pre-amps are those good ol’ hardware that boosts the signal of the microphone so that it is audible. A $1000 microphone running through a $15 preamp won’t sound any good. And the same goes for a cheap mic going into an $1000 preamp. To be honest, you probably don’t need to look at buying a hardware pre-amp at any point as you’re starting out. Most audio interfaces come built in with clean sounding solid state pre-amps that would get you quite far. I suggest doing some recording with your current setup, using your audio interface’s internal pre-amp. If you like the sound, then you don’t have to invest into hardware pre-amps. Don’t like the sound? Then perhaps its time to look at some hardware external pre-amps. There are three common types of pre-amps you can find. Clear and transparent sounding, solid state preamps are ideal if you want a distortion-free recording. They cost somewhere from few hundreds to few thousand dollars. Paired with high-quality microphones, they’ll compliment the sound of the microphone, creating a clean yet warm sound. Every tube preamps have a distinctive sound character that gives your sound a certain coloration. These type of preamps using vacuum tubes to amplify the microphone signal and through that process, adds in some distortion or color. The negative thing about this is that you can’t remove this color characteristics from your recordings, but depending the preamp, this ‘color’ can add character to your recording, making the recordings nice. Tube preamps are preferred by musicians and producers who years for that ‘warm’ sound. This is why so many jazz, funk, and blues musicians often go for tube preamps. You even sometimes see tube pre-amps built into guitar amps. Tube preamps, unfortunately, are more expensive with most brands starting from the $1000 price range. A hybrid preamp like the Universal Audio 710TFD is pretty sweet, but comes with a hefty price tag. Hybrid preamps have both solid state and tube parts built in. Because tube pre-amps are very expensive, audio hardware manufacturers have made hybrid preamps. In fact, you might want to be careful if you’re shopping for a tube preamp, as many hybrid preamps are being marketed as a tube preamp. The advantage of a hybrid preamp is its lower cost while giving you the flexibility of getting that clear sounding character of a solid state preamp or the warm colored sound of a classic tube preamp. Last to your microphone setup would be getting some microphone accessories. A decent XLR microphone cable should do the trick. Don’t waste money on expensive microphone cables. I’d argue that there are very slight or no difference in a cheap or expensive cable, and chances are you’ll only hear the difference if you have a pair of very trained ears and a set of very good industry level pre-amps, DA converters, and monitors. Just make sure you get cables with high-quality connectors. Getting a click or pop during a very important recording is annoying, so you’d want to avoid that. A great suggestion to really immerse yourself in audio production is to buy a roll of microphone cable, XLR connectors and then solder them yourself. I did this too in the beginning and not only this saved me some extra money, I was also able to customize the length of the cables I need and really learned how cabling work. I remember making my own pop filter using a pantyhose and a sewing ring. The difficult part lies in trying to DIY a clip to clip the pop filter on a stand. 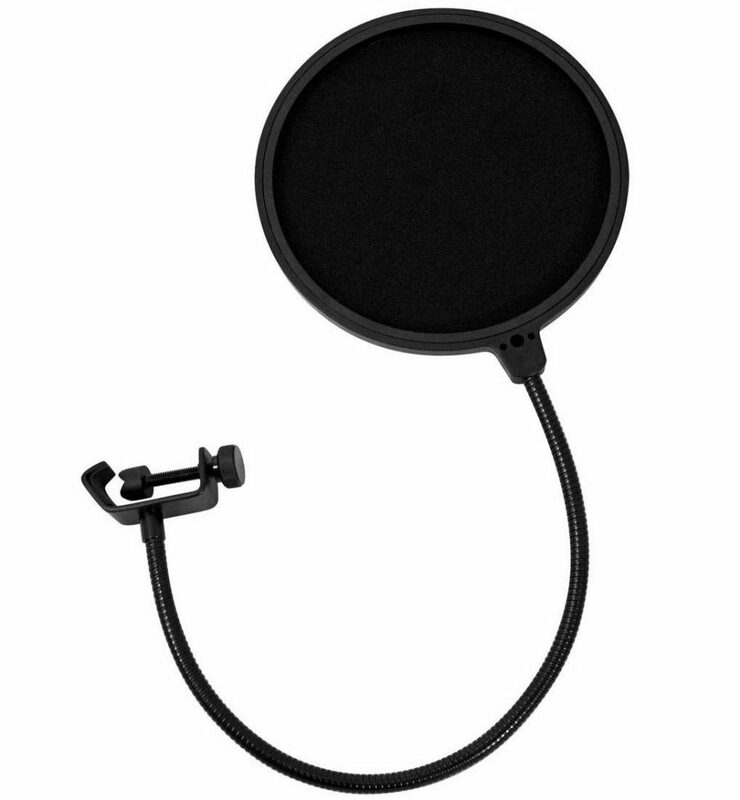 However, pop filters are relatively cheap these days, and you can get them for less than $15. Pop filters eliminate plosives ‘pops’, that occur when singers sing. They usually result from a burst of air going into the mic, as a result of singing words starting with ‘P,’ ‘S,’ or ‘T’s. There are two types of common pop filters, the pop filter with a nylon mesh and the pop filter with a metal mesh. The nylon mesh type would effectively filter plosives out but if you feel you’re losing too much of the bright end in your recording, you can get a metal mesh type as well. I wouldn’t stress too much on microphone stands, but just make sure you get a sturdy one to hold your mics. Don’t skimp and get flimsy ones that topple easily, potentially damaging your expensive microphones or hurting your vocalist. As a start, a decenttripod boom microphone standshould work well enough. 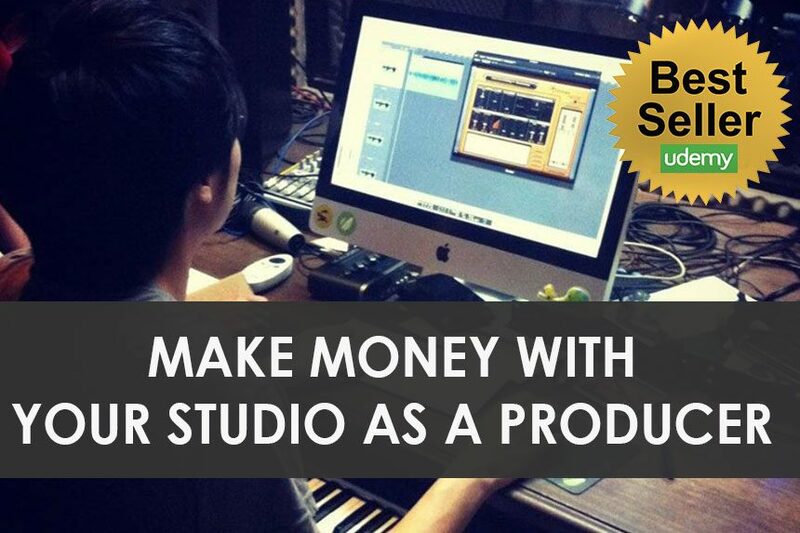 You might also want to get more stands as you grow your microphone collection. Heavier microphones would cause the stand to topple over and in that case, look for heavy-duty microphone stands with a heavier base. These things weren’t too popular then but have increasingly shown its usefulness in tight recording situations, for example trying to record in a tour bus, hotel or in public. Designed to block sound and form sort an isolation for your microphone, this type of filter can be very beneficial for home recording studios. If you’ve never acoustically treated your room or find yourself recording on the go, investing in a decent reflexion filter could be well worth the money. Spiders mounts help isolate microphones from bumps and vibrations from your floor or desk. Most microphones especially condensers, come included with a spider mount. And in most cases, you probably won’t need a spider mount. However, if you are experiencing some vibration, bump or rumble problem with your recordings, perhaps it’s time to invest in one. They are not expensive and you could pick up a decent universal spider mount like the Audio Technica shock mount to use with your microphone. Just make sure the mount is compatible with your microphone, so read! before you purchase. I hope I’ve covered everything about getting microphones for your recording studio. From here onwards, it’s your turn to experiment and record as much as possible. Did I miss anything out from this list? If I did, please let me know in the comment section below. I’d love to hear from you too if you have anything you’d like to add to this post. Other than that, I hope you record great music and see you in the charts!